Health Benefits: Relief from high blood pressure and high cholesterol, as well as digestive, immune system, and inflammatory problems. Add to your own mixes sparingly or make a tea. Organic, human grade, no GMO. Speeds up the metabolism and help in healthy, gradual weight loss. Certified organic, Hibiscus, human grade. 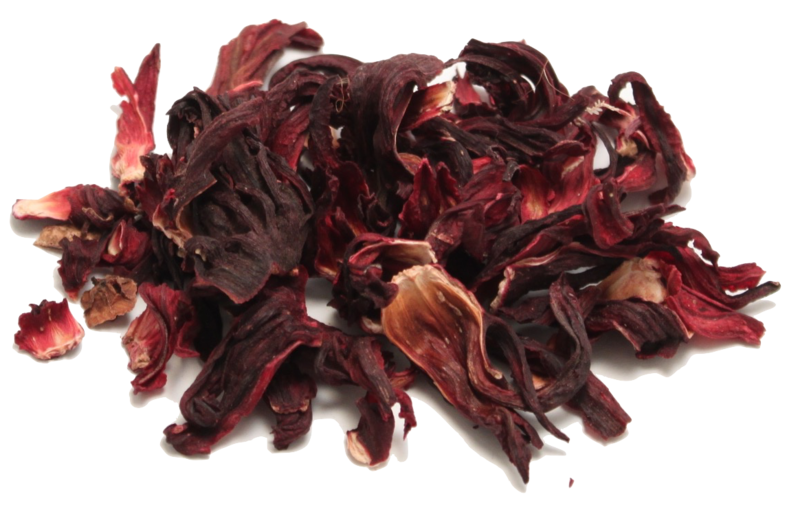 The health benefits of hibiscus include relief from high blood pressure and high cholesterol, as well as digestive, immune system, and inflammatory problems. It helps to cure liver disease and reduces the risk of cancer. It can also speed up the metabolism and help in healthy, gradual weight loss. Sprinkle sparingly into your bird's dry mix, or use as a tea. Price is per 50 grams, sold in increments, discounts as quantities increase.